Reporter: Terry, why did you take out your starter? Collins: It was hot out there…or cold, depending on the weather. Either way I made the decision based on a drawing I wrote on the back of my notebook. Reporter: What’s wrong with the offense? Collins: I mean, these guys are tired. Have you ever lifting one of these bats? They’re very heavy. Reporter: Why did you keep one of your best offensive players on the bench with the game on the line in the ninth inning? Collins: Honestly, I didn’t notice him sitting on the bench. He must have been sitting all the way at the end. If he wants to be used as a pinch hitter in that situation he should sit closer to me. Either way, the guy who did pinch hit was due. Reporter: How come the team keeps losing on the road? Collins: Again, these guys are tired. I mean two plane trips in one week? Have you seen how much luggage these guys take with them? You’re lucky more players aren’t injured. Reporter: What are your expectations for Murphy when he comes off the DL? Collins: Well I expect him to give us a jolt for about two games and then after he goes hitless over the course of six at bats I will begin to platoon him with a player who has no business getting regular playing time in the major leagues. Reporter: How did you feel about the overall effort the team gave tonight? Collins: Oh golly, I mean those guys tried their darndest tonight. Sure we lost but I was really glad to be out of the house. Reporter: Will Familia be available tomorrow? Collins: Depends on how much sleep he gets. Reporter: Will Parnell be available tomorrow? Reporter: Do you think losing the first game of a series sets a bad tone? 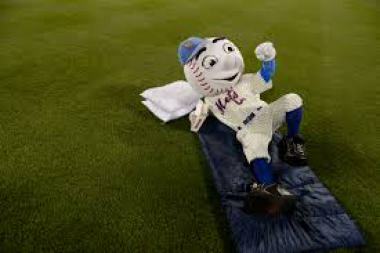 Voice of Sandy Alderson: This interview is over! 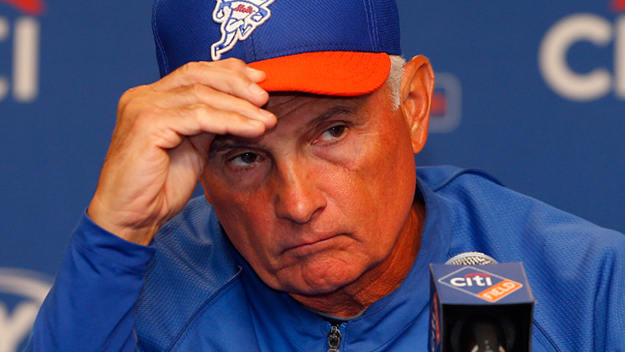 We’re tired of Terry Collins. Time to go.